Inc. magazine ranked Travelink, American Express Travel NO. 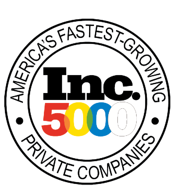 2772 on its 33rd annual Inc. 5000, an exclusive ranking of the nation's fastest-growing private companies. The list represents the most comprehensive look at the most important segment of the economy—America's independent entrepreneurs. For more information on Travelink, American Express Travel and the Inc. 5000 please visit the following link.